One month ago I, who has had cancer, dropped my daughter, who has had kidney failure, off at school for her first day. And as I walked home, I was stunned. This day was in a future I didn’t believe could happen and which I had never allowed myself to think about. So there we were, at the gate. My daughter was completely cool about this new experience and walked into her new life, full of joy, without a backward glance. And this feeling of being lost reminded me of the questions I would ask when designing webpages: Where am I? Where have I been? Where am I going? And when the answers weren’t immediately apparent, I would slap on breadcrumbs, menus, sidebars, search boxes and anything else I could, to make sure users knew where to go next. Now as I type this, it sounds like I was designing a tunnel. I didn’t think about user experience. I was just herding them through, and literally pushing them to the exit. And for a very long time, I used the same approach in life. I herded myself through a set of goals in the hope of reaching some imagined future. In it, I would be cool and everything would be fabulous. What can I say? I was a computer programmer. I provided programmed solutions and users stepped through them in a specific way to get specific results. And then times changed. I moved off the mainframe and onto the web but I continued with the same approach. And I wasn’t alone. 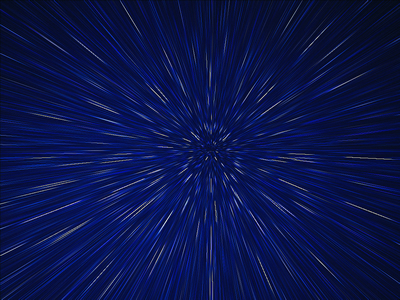 In a recent blog post, Alan Dix discusses how being lost in hyperspace, was a common preoccupation in the human-computer interaction world. But lately, having looked at how users are behaving, especially on sites like Pinterest, Alan says perhaps they are not worried about feeling lost, or having control anymore. They are just enjoying the experience. I had a similar discovery too when I was thinking about sprucing up this website. I wandered round the web to see what was new and was looking at Jeffrey Zeldman’s site when I saw that his breadcrumbs, sidebars, and search boxes have disappeared. I was baffled at first, without signage how would I navigate? What if I got lost? But on reflection, I realised, I didn’t need signage, I was there for a mosey round and an experience. How could I get lost? And as I admired Zeldman’s clean design and crisp pictures, I was reminded of my la pavoni. It doesn’t have much in the way of instructions on it, but it is so asethetically pleasing that when I use it, I am not just making coffee, I am temporarily transported to coffee nirvana. And how could I ever get lost in nirvana? I still believe that design is about communication and communicating intentions. But now I know this includes more than results. Good design must mean amongst other things, a collective sharing of ideas and good experiences, which is now easier to achieve, because we have a whole generation of users who have never known the web any other way. Users who demonstrate the no function in structure principle, because they don’t worry about getting lost. They turn up without any expectations of how something should work and are happy to experience a site without needing the interaction to happen in a specific sequence. And after my recent life experiences where I had no control over what was going on or any clear instructions on how to proceed, I have learnt an important lesson. Being present is enough. An experience doesn’t have to be prescribed. It doesn’t need sign posting. It is not about knowing exactly where you are, where you’ve been, or where you are going. It is about right now. I am cool and everything is fabulous.